Thanks to our friend DJ Anderson for keeping us informed with great events from Saratoga! The annual cutter races were held this past weekend…it’s always a great time! 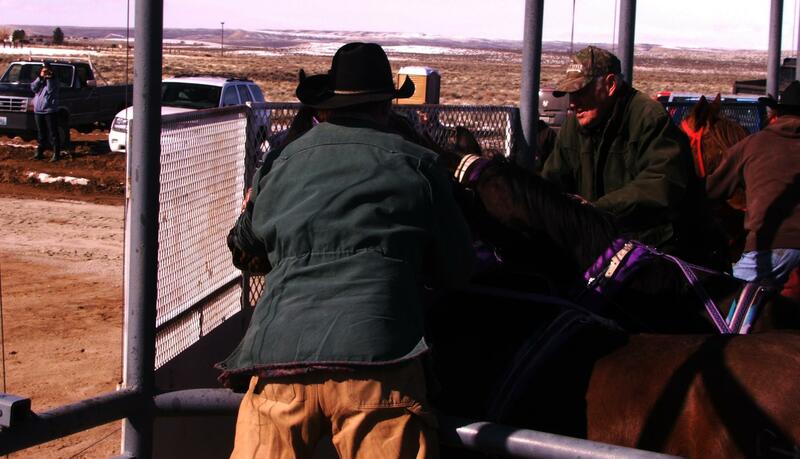 More info from DJ on cutter racing and some images from this year’s and last year’s event follow…thanks to our friends for keeping us plugged in to great Wyoming information! DJ Anderson sent us this information from Star Valley: Cutter racing had its start in the late 1930’s with two milk wagons barreling away from the Freedom Cheese Factory in a mad dash to see who had the faster team. This impromptu sport progressed when they dropped the wagon and ran with the front bob to get the faster time. Cutters became popular during the winter and they began starting races using the ‘Lay 7 Tap’ method. Cutters with tracks were popular until the 1960’s when wheeled chariots became common with the advent of dirt tracks (vs. the maintenance-intensive snow track). Cutter races were held in many different towns and the track might be the main street, a field or anywhere a track could be marked out. Starting gates were scarce and were moved from track to track. For many years, Thayne, WY hosted the cutter races in Star Valley with the gairgrounds in Afton being an alternate race location. Thayne was known as the home of cutter racing and in 1948 The Racing Club was chartered. In 1994, thanks to the support of the public and local businesses, the best track int he state of Wyoming is located in Afton. It is a snow track which is rpetty uncommon now — the races do use wheeled chariots but the track provides a beautiful backdrop. One can also get better photos than mud flying from a dirt track! 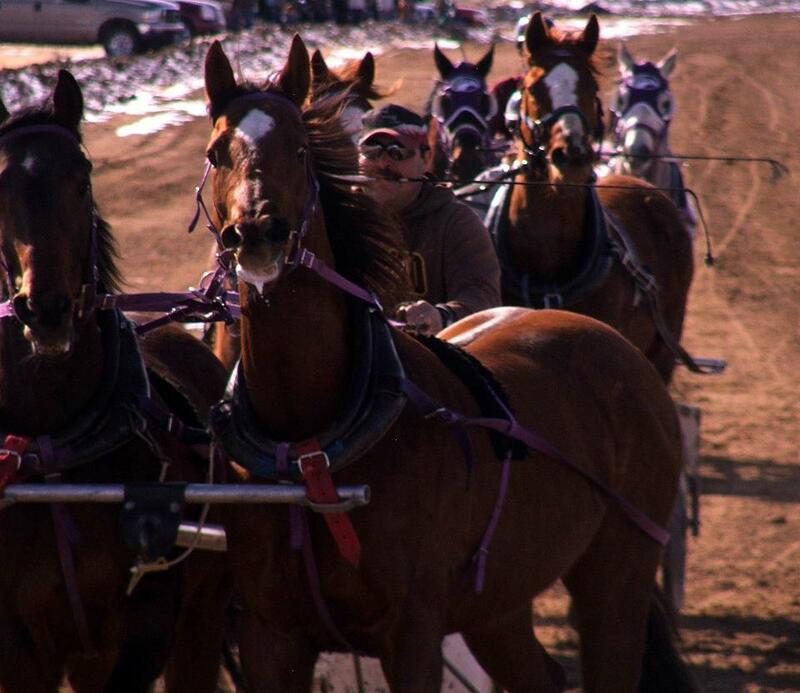 Learn more about cutter racing in Wyoming via the Wyoming Tourism website, Star Valley Chariot Racing on Facebook, or the Carbon County tourism website! Thanks to DJ Anderson for passing along this great information and photos! This entry was posted in WY People, Wyoming Travel and Tourism and tagged Saratoga, Star Valley, Thayne, www.wyolifestyle.com, www.wyovore.com, WY, WY cutter races, WYO XY, Wyoming cutter races, Wyoming exploration, Wyoming family activities, Wyoming Lifestyle, Wyoming Lifestyle Magazine, Wyoming outdoors, Wyoming Weddings, Wyovore. Bookmark the permalink. ←ART IN WY: Call for Entries at the 2012 Railway Art Show & Sale!